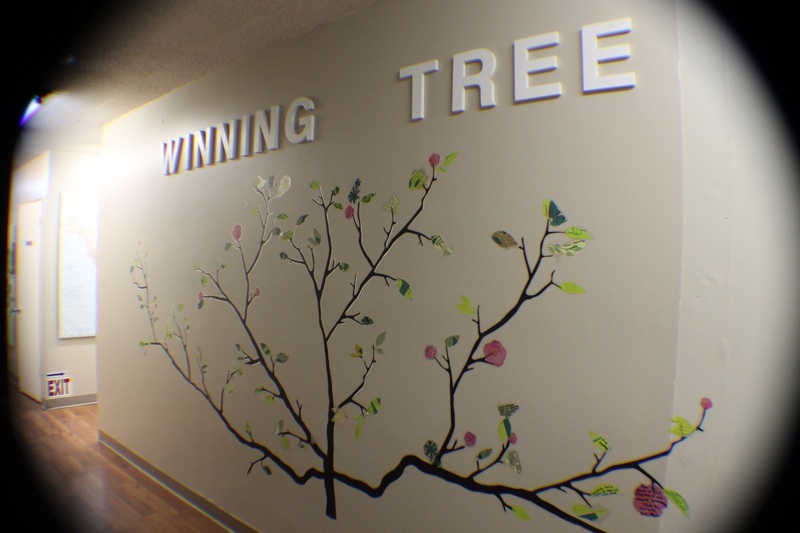 Testimonials – Talk To Me Bilingual Speech Therapy, Inc.
Join our growing “winning tree” mural that includes all of our families “wins” that are beautifully placed on each branch after graduating from our program. – Love Andrew and family. My child’s overall experience was good as he was always eager and motivated to attend therapy sessions. Everyone at TTM was great. The oral exercises, articulation and sounds was what he made the best progress in. Overall great experience. Our therapist is very kind and understanding. She the best of the best with her loving ways. She taught me to redirect my child how to use more words. Thank you, Susan and Yamely you two were amazing with my son. The few months [our daughter] was here, she has shown great improvement. I am pleased with everything and TTM is a very professional speech practice that encourages daily home practice and ways to help with improving pronouncing each sound my daughter had a hard time with”. “Nora gracias por todo el esfuerzo realizado con Hector y los progresos que el logro. Esperamos de todo corazon que Hector algun dia pueda decirte con sus proprias palabras lo mucho que lo ayudaste. Muchas Gracias. “Es de muchos comenzar y pocos terminar. Gracias por entender las necesidades de nuestra familia y de Jorge. Se te agradese de todo corazon cada palabra que el ahora puede expresar. Tu amor, ternura y conosimiento han cambiado a nuestra familia para siempre. Gracias. Susan fue muy amable y muy professional en su trbajo. Estoy muy contenta con los servicios y trato de las terapistas y secretarias. Todos fueron muy amables gracias por todo. Su amabilidad para con mi hijo y conmigo misma, la confianza que le brinda a mi hijo fue muy confortable. Les agradezco por su ayuda y amabilidad en especial a Yamely le agradezco y a la vez siento tristeza por ya no venir mi hijo esta encantado con ella. Siempre me explico y me enseño como ayudar a mi hijo y me ofrecio todo el material y sobre todo siempre escucho mis dudas y me ayudo mucho. Muchas gracias por toda su ayuda todas son unas personas muy amables y muy profecionales. Gracias!! Miraba que trabajaba a mi hijo muy bien y lo alludaba con su habla, las formas que alluydaba a mi hijo me gustaba. Todo estuvo bien, quizas por darme mas tecnicas en como trabajar con mi hijo. Todo me gusto del servicio en TTM que le dieron a mi hijo. Christine atiende bien a mi hija. Todo estubo bien incluyendo el trato que tuvo con mi hija fue muy bien. Gracias por sus servicios. The staff is very nice and my daughter improved in speech therapy. I already learned plenty of skills to help my child’s speech. For example, have my child look at my mouth when I am helping her speak and how to react when she is showing bad behavior, along with much more. Structured play promotes my child to talk, ignoring or not answering to “baby talk” promotes my child to speak loudly and clearly. Our therapist has a wonderful personality! She was great with [our son], with the perfect combination of friendly and stern. She was very knowledgeable. She taught us both a great deal. I can’t think of anything I disliked except that it is a little tough to get an appointment that fits everyone’s schedule, but that is understandable and Krissy and Suzy make an amazing effort. She taught me many techniques to help [my son] communicate to the best of his ability and express himself in a calmer productive way. I learned about the importance of speaking clearly, making eye contact, repeating and reinforcing, and allowing my son to try and try again. In general, everyone at TTM was great. It was a tough start accepting that my son had a delay as many different thoughts and emotions coursed through me. Everyone here was friendly and supportive and extremely positive. I think very highly of your staff, I am very grateful for the welcome and assistance. All the staff at TTM are friendly and helpful. Every therapist knows every child by name. I enjoyed everything as my child learned a lot. Teacher Yamely does a great job and I think the clinic is great! The services are good and helpful. Susana [Office Manger] is very helpful. I learned to teach my child how to use words when she tries to use jiberish. I also continue playing at home since my child learns from playtime. I learned a lot, the [therapists] are great help but as a parent, I am her first teacher so everything I learned will come in handy. My child had a great time. Thank you all for all the time and dedication. I loved knowing [my daughter] was truly cared about and as a parent being informed every session how we could work on something for [my daughter] and how we felt very comfortable asking questions. Everything at TTM was overall an amazing experience. Nora was amazing. The clinic is very clean and organized and I am very pleased with services. The front desk is kind and welcoming. I truly learned how to continue supporting her speech development, how to be a positive role model by letting [my daughter] lead the way, using less words, adding more language by using adjectives, propositions, verbs and to make sure she responds with two or three words, and give her some wait time to respond. Many more strategies learned, but these are a few. We are beyond pleased and happy with the services and [my daughter’s] progress as a result of sessions and overall collaboration. The way they explain everything in a way that you as a parent use the information to be a therapist for my child at home. There is not one thing that I didn’t like as Christine did a very good job. There are a lot of different things like exercises, understanding the way muscles have to be relaxed for better speech, muscle relaxation techniques. Overall, it was a great experience, wonderful staff, and great customer service. The environment at TTM was excellent and staff was amazing. Great job!!! Perfect, great, awesome!! Basically, I was given so much information in every session. Thank you Christine for working with my child more and in being able to explain about his learning. I learned how to be patient, how to focus on what my child needs by helping him with all the materials he was given. Great experience working with such an amazing staff. Thank you!! Me gusto lo sensilla y amable que fue con mi hija y mi persona, sobre todo muy profecional y humana. Me parece que ha hecho su trabajo de una manera muy profecional no necesita mejorar. Muchisimas gracias por todo el apoyo brindado a nuestra familia atravez de mi hija. Estamos muy agradecidos. Siempre fue muy amable con mi hijo y toda mi familia. Siempre tratava mucho de ayudarlo. Muchas gracias a la terapista por su ayuda y pasiensia ella trabajo mucho con mi hijo yo como madre le agradesco mucho por su paciensia y amor asia sus pacientes. Muchas gracias porque ella fue muy amable. Gracias por ver estudiado para terapista para ayudar a todos los ninos que necesitan como mi hijo. Dios la bendiga siempre gracias por ayudarnos. -La familia Ibanez. Honestamente la verdad la terapeuta tuvo mucha paciencia me gusto como trato a mi hija en sus terapias. Estoy muy contenta con las terapias que le dieron a mi nena. La terapeuta hizo un muy bien trabajo. La verdad nada negativo que decir. Muchas gracias pos sus servicios. Mi nina advanzo bastante. Christine me explicaba muy detalladamente como poder ayudar a mi hija respecto al desarollo del habla. Christine fue exelente persona y paciente con mi hija, no tengo nada malo que reportar. Ella es una exelente terapeuta. Pues todo el tiempo que estuve con ella no mire nada que podia mejorar por ella hace un exelente trabajo. Solo agradeser por la ayuda que le brindaron a mi hija y me da una alegria que hay lugares como estos para que puedan ayudar a mas ninos que lo necesitan.